USD was under pressure because of the delay in tax plan which gave an opportunity to GBP to grow. 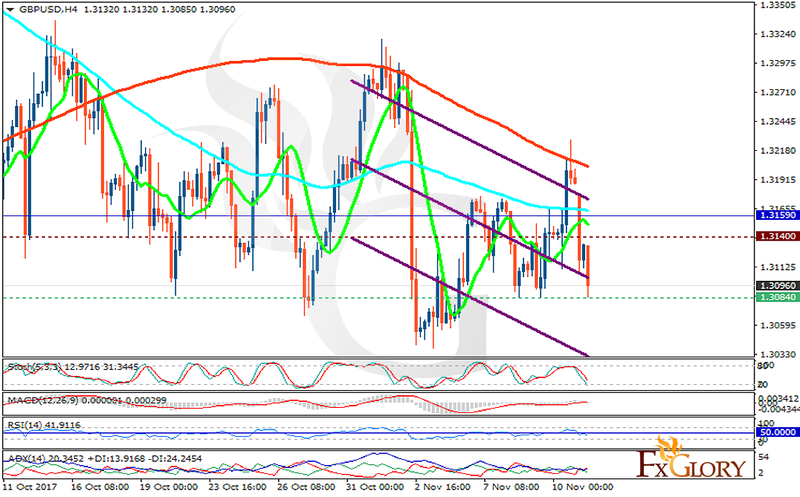 The support rests at 1.30840 with resistance at 1.31400 which both lines are below the weekly pivot point at 1.31590. The EMA of 10 is moving with bearish bias along the descendant channel and it is below the EMA of 200 and above the EMA of 100. The RSI is falling towards the oversold area, the Stochastic is showing downward momentum and MACD indicator is in neutral territory. The ADX is showing sell signals. GBPUSD is volatile and the price will be fluctuating within 1.30 and 1.31 ranges.